I have a friend who liked different things from some girls in my class. So they called her names. One time I told those girls that they were not being nice to my friend. So they started being nice to each other and became friends. I think the conflict got resolved fairly because at the end we were all friends. 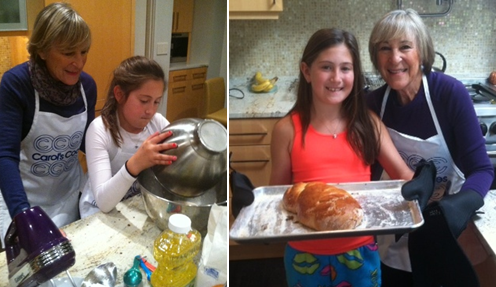 Emma baking challah with her grandma. because it is a part of me. is what I think about when I pray. cities high with their own hands.